Any wine lover can tell you the wines they love and the wines they absolutely can’t stand. This diversity in the flavours is the beauty of the beverage. If you want to become a wine connoisseur, or simply learn a little more about the wine that you are drinking, you are in the right place. 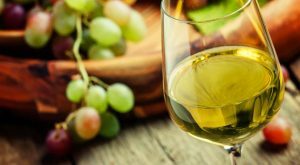 Let’s have a quick rundown of the different types of white wine so that you can discover what is right for you and the best way to consume it. This is a medium bodied white wine, it’s rather dry and was planted for the first time in France. Chardonnay has a slight citrus taste with pear, pineapple, banana and often oaky flavours. Pair this wine with seafood, chicken, mushroom and soft cheeses to really bring out the taste. This is a light to medium bodied wine with a dry and tart texture to it. Sauvignon Blanc has a rather aggressively citrus taste with exotic inspirations from grapefruits, passion fruit and kiwi. To get the full flavour of this wine, consume it with fish, chicken, pork, Mexican food and nutty cheeses. This dry, light bodied white wine has a delicate taste with lime water, orange zest, apple and cheese rind inspirations. Largely produced in Italy but also in France and Germany, this wine is easy to drink. It tastes best with salad, fish and light cheeses. This floral wine is often described as off-dry. It is quite citruses but with fragrant and delicate touches. Riesling is highly regarded as a summer wine and is best paired up with cured meat, Indian, Thai, chicken, duck and turkey. Find a type of wine that you love, pair it with a food that matches the taste well and the combination guarantees full satisfaction at every meal time!